Earlier today we heard that some T-Mobile stores were selling T-Mobile branded iPhone cables. 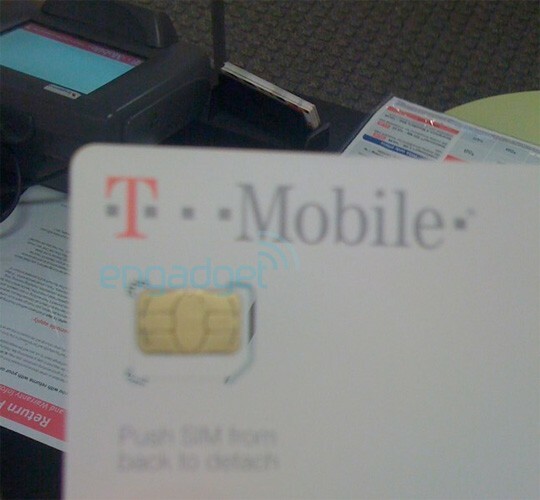 Now we are hearing that the company is sending out microSIM cards instead of the original sim cards. Now we are almost certain that T-Mobile will not be selling the iPhone after seeing the new advertising campaign bragging about the lack of features in the AT&T phone. We are beginning to believe that this is a publicity stunt and that T-Mobile wants to get hype (negative or positive) in order to get noticed. We will keep you updated on what we hear about these.